1. Restore OSPI staff (TSE program director & regional coordinators); In addition, DOL should have equivalent content-area experts for commercial schools. These subject matter experts must have experience in curriculum development, best practices in teaching/learning, teaching driver education, advanced driving/advanced driving instruction, and administration. They should cooperate to upgrade the quality of driver education programs in Washington State, based on national standards and studies from abroad. They should guide and mentor teachers and schools in best practices in teaching driver education. The agencies cannot be focused merely on creating rules and enforcement of rules (compliance and regulation). They must focus on leadership in teaching safe driver behavior using the best practices in the field. Until we have a licensing test that measures safe driving behaviors, rather than basic maneuvers, the program staff in the agencies must coach, guide and inspire teachers and schools to focus more on driving behavior than on passing the all-too-simple licensing test. That simply cannot be the litmus test of a “good” driving school. ​2. Mandate uniform standards and program rules for all TSE programs (public and commercial). 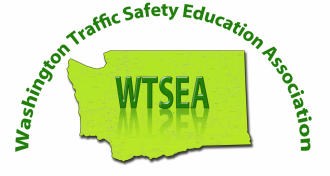 The agencies need to take a serious look at the NHTSA Assessment of Driver Education in Washington State and get busy implementing as many of the recommendations as feasible, and as soon as possible.
. Create a uniform teacher preparation and certification system that is affordable and accessible. This will include a trainer-of-trainer (TOT) curriculum. The training courses should be taught by certified TOT instructors who have been through training to become an approved trainer that is not based upon experience in teaching alone. The coursework should be accredited through a university such as CWU (as it is done in Oregon by WOU). Experts in teaching, teaching driver behavior, and advanced performance driver training should be involved in leading the team to develop the course curriculums and in training the instructors. The DOL must also upgrade the teacher licensing tests so that they measure ability and knowledge in best practices for teaching driver education. ​4. Require parent involvement in all TSE programs. This includes requirements for parent attendance at a mandatory meeting/class session of at least one-hour in length. In addition to information about the IDL law and driving restrictions, emphasis on guided parent practice, role modeling, and a family driving contract should be required. A minimum amount of guided parent/guardian practice, certified by a logbook, should be a requirement of each course. The logbook should also be required to be presented to the DOL at the time for application for an initial (intermediate) driver license. ​5. Upgrade the rigor of the licensing exams so the test is longer and a true measure of safe driving habits. ​6. Update the state curriculum guide and standards required in an approved driver education course. The objectives and assessments for course completion must, for now, exceed the minimum knowledge and skills necessary to pass the DOL licensing test. If a young driver wants to drive prior to age 18, they will need to pass a knowledge test and drive test that vastly exceeds what is required to pass the licensing test. These tests need to be objective and standardized throughout the state, regardless of the school the client enrolls in. ​7. Pass legislation to either raise the licensing age to 17, and/or require all drivers to take driver education prior to obtaining the initial driver license. (“Train Past Eighteen” bill) For adults, this education should be primarily based on individualized instruction in a vehicle. ​8. Develop a firmer incentive program for traffic offenders to take a driver-refresher/driver improvement course that focuses on safe driving behaviors. A standard curriculum should be developed, and vendors who offer the courses should be licensed based on completing standardized training.